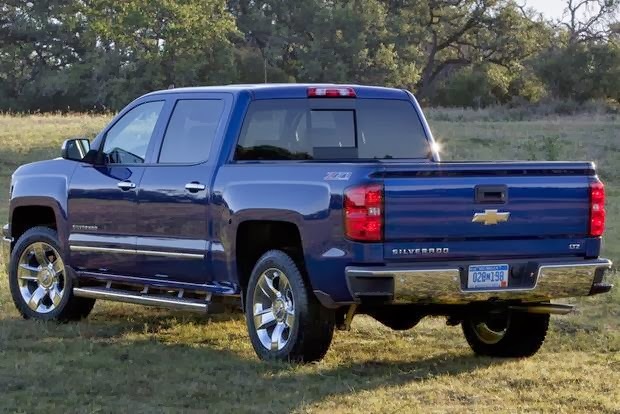 The 2013 Chevrolet Silverado 1500 is a full-size pickup offered in a variety of cab/cargo-bed configurations in both two- and four-wheel drive. Body styles include regular cab, extended cab and crew cab. Regular and extended cabs are available with either a 6.5-foot standard bed or an 8-foot long bed. Crew cabs are mated to only a 5-foot-8 short bed. 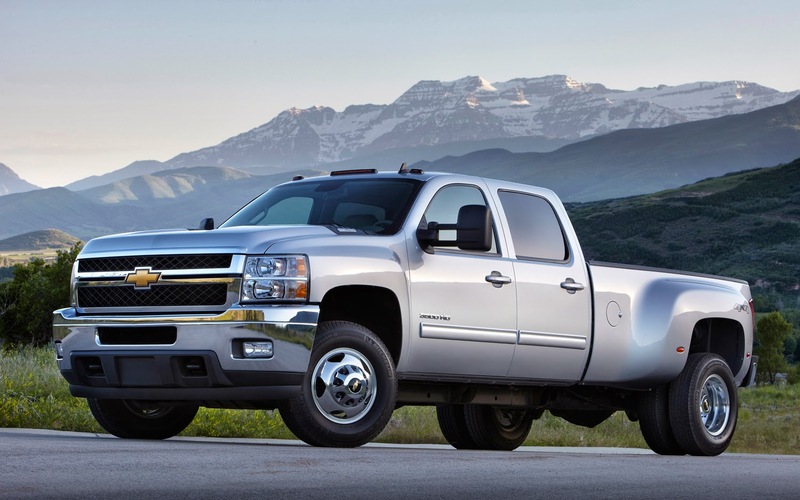 Regular cabs are limited to the base Work Truck and midlevel LT trims, while the extended and crew cabs come in LS, LT and the range-topping LTZ trim. The Work trim (or WT) is limited to the bare necessities, which include air-conditioning (extended- and crew-cab versions), a trip computer, a tilt steering wheel, OnStar telematics, vinyl seating, a 40/20/40-split front bench seat and a four-speaker sound system with an auxiliary audio jack. The LS adds full power accessories, keyless entry, cruise control, a CD player, satellite radio and adjustable lumbar support for the driver. The LT trim includes premium cloth seating, a lockable compartment with a power outlet built into the center cushion of the split front seat, an auto-dimming rearview mirror and a leather-wrapped steering wheel. The LTZ piles on 20-inch alloy wheels, dual-zone automatic climate control (in extended and crew cabs), an exclusive dash design with wood and metallic accents, leather upholstery, 10-way power-adjustable heated front bucket seats, driver-seat memory settings, Bluetooth, remote engine start and a Bose audio system with a six-disc CD changer, a USB/iPod interface and rear audio controls. Many of the features on the upper trim levels are offered on the lower ones as options. Other popular options (depending on the trim level and configuration) include various towing packages, the Z71 Off-Road package (skid plates, off-road suspension, 18-inch wheels and body-colored front end), 18- and 20-inch wheels, a sunroof, heated power-folding outside mirrors, an EZ-Lift tailgate, a power-sliding rear window, rear parking sensors, a rearview camera, upgraded audio systems, a rear-seat entertainment system, a navigation system and ventilated front seats. package includes the 5.3-liter V8, a locking rear differential, a towing package, 17-inch alloy wheels, dual-zone automatic climate control, Bluetooth, audio upgrades (CD player, iPod/USB interface and auxiliary jack), six-way power driver seat and the EZ-Lift tailgate. 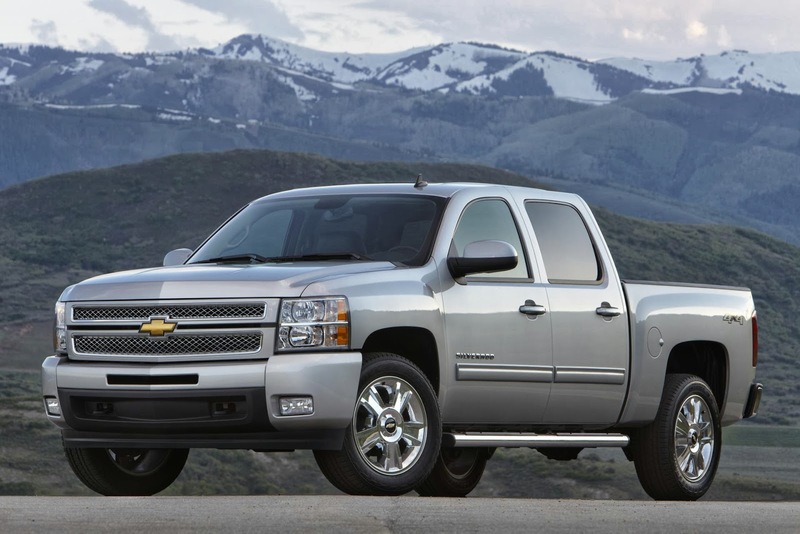 There is also the XFE (extra fuel economy) trim variant for the two-wheel-drive 5.3-liter V8 crew cab that features aerodynamic enhancements and lightweight aluminum components that improve fuel economy.